When words won’t work the way you want, allow a beautiful Willow Tree figurine do the talking for you. 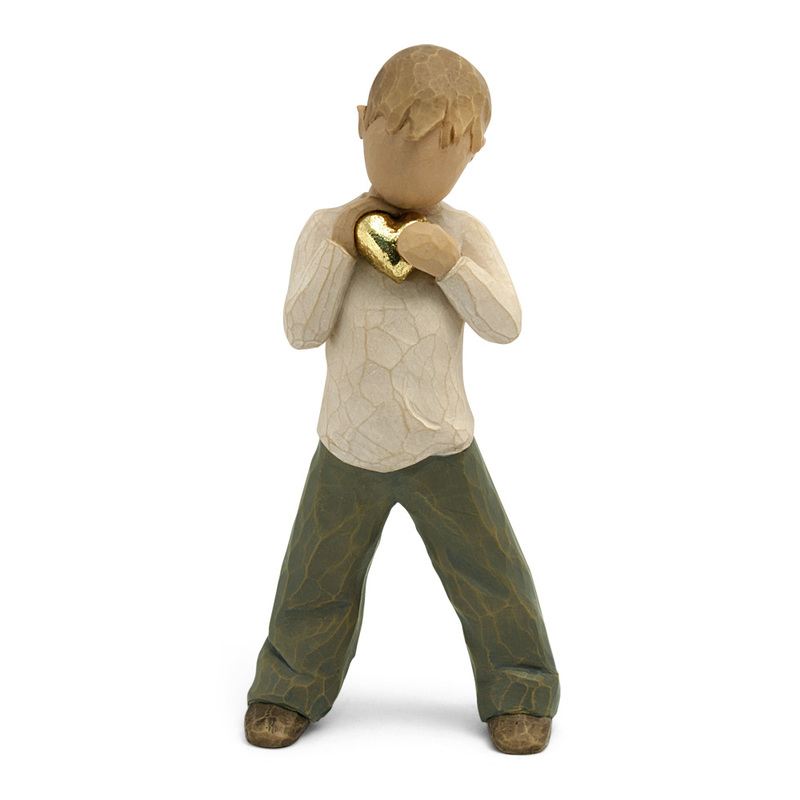 Suitable for any occasion, there’s a Willow Tree figurine to convey your message – whether it’s helping us feel close to others, heal wounds, or reminds us to treasure those we hold dear. They’re so beautifully simple…but it’s the sheer simplicity of these dear little pieces that makes them so very special. Each figurine shines with a personality of its own. This little boy has a heart of gold. No, literally. Against his chest, he carefully cradles a golden heart in his hands. With his scruffy brown hair and confident pose, he’s totally adorable. Heart of Gold makes a touching tribute to someone you know who’d do anything to help out a person in need.